Our studio is located in Leucadia - a beautiful beach community within in Encinitas, California - the perfect place to experience the magic of Southern California with the hip vibes of a small surfer community. One of our favorite things about our studio is the location! 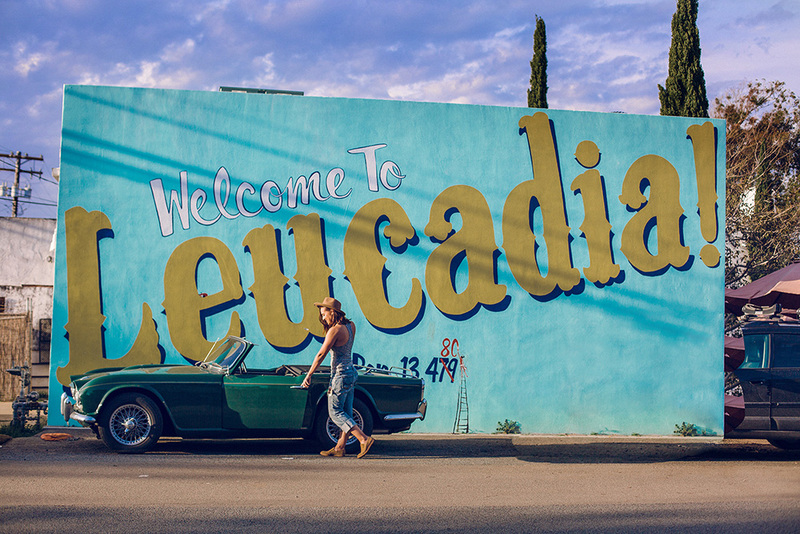 In addition to the beautiful scenery, when you come to visit, you'll have plenty to do with all that Leucadia has to offer (aside from your photoshoot, of course!). Leucadia is such an amazing place to be able to work every single day, and we want to share the magic with you! There are plenty of charming locations to stay in Leucadia and Encinitas, including inns, hotels, and Air BNBs. However, we highly recommend the The Surfhouse, an adorable boutique hotel owned by our friends! Their surf inspired boutique motel is located just one block from the beach, next to plenty of amazing restaurants and bars. They offer surf lessons for beginners, and did we mention it is half a mile from our studio?! The Surfhouse is the ultimate place to soak up the southern California vibes. If you stay at The Surfhouse, they will give you a beach cruiser (first picture on the right) for the day to ride over to our studio! How fun is that? Wakin' up San Diego since 1968! 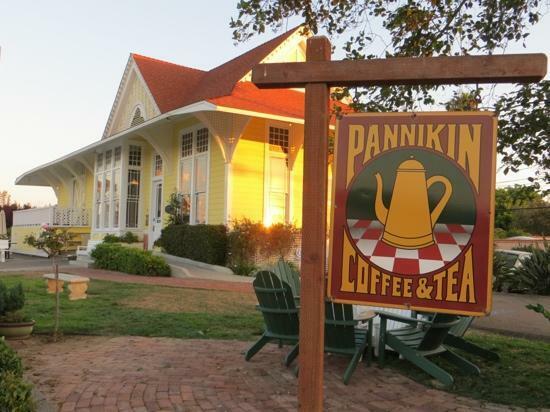 Wakin' Up San Diego since 1968, Pannikin Coffee & Tea is another must-try coffee shop! Blue Ribbon is a delicious pizza restaurant with artisan wood-fired pizza, also offering craft beer! Solace & The Moonlight Lounge is an incredible location, with daily specials, a great brunch, & food that features natural, sustainable, & thoughtfully raised ingredients! Four Moons Spa is a beautiful spa with a breathtaking atmosphere- their staff are passionate about healing & wellness. If you're not quite into the whole spa scene, but want to be sure you're groomed from the tips of your toes to the tips of your fingers, try Beachy Toes for a more relaxed, boho vibe, or101 Nail Lounge in Encinitas for a more traditional mani/pedi. Leucadia's Farmer's Market is held every Sunday from 10am-2pm - have fun strolling through, looking at the colorful fresh produce, tasting delicious food, while listening to great live music! It's a Luv Thing boutique pops up every Friday from 11pm-6pm, grab some cool pieces for your photo shoot! 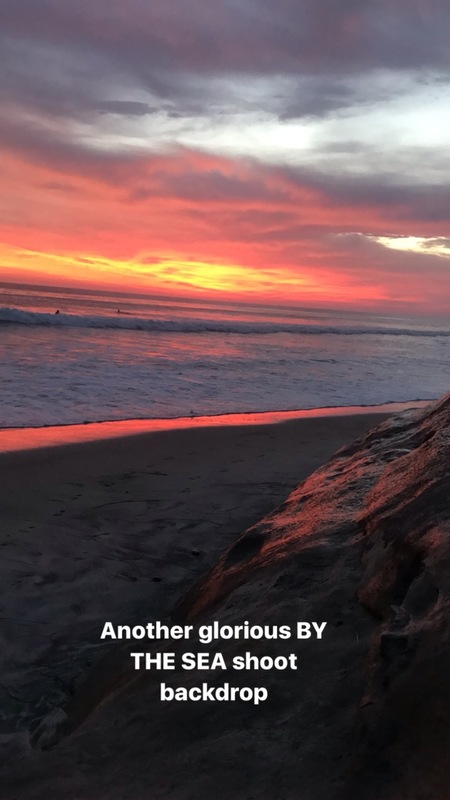 Encinitas is known as the Yoga Mecca, with hundreds of locations that offer yoga including the aforementioned Four Moons Spa & The Surfhouse (on the beach yoga!). Check out Soul of Yoga, Evolve Yoga & Fit, & Gather. Take a train down the coastline, just a mile away from the studio, enjoy the gorgeous views, & visit downtown San Diego for just $11 roundtrip! Once you're in downtown San Diego, you can go see a Padres game, visit the Unconditional Surrender statue (the WWII Kissing Sailor), drink handcrafted cocktails in Little Italy or taste craft beer at Mission Brewery - the world is yours to explore! Visit Beacon's Beach, Moonlight Beach, complete with showers & a concession stand or Swami's beach, the inspiration for the Beach Boy's "Surfin' U.S.A" hit song! Check out more information for the last two beach locations here. ...and, last, but certainly not least...YOUR BOUDOIR SHOOT! if you book our By The Sea package, you'll get to play in one of these gorgeous sunsets while we take amazing pictures. Memories you'll get to keep for life! ARE YOU READY FOR THE BOUDOIR EXPERIENCE OF A LIFETIME? If you purchase a flight to San Diego to come & shoot your boudoir session with us, we will gift you FOUR EXTRA SPREADS in your book ($480 value)! We know the magic our beautiful town holds, so come share the magic with us! Schedule a phone call & book your shoot today!